← Ever Jump to a False Conclusion? A football game in the NFL technically consist of four fifteen minute quarters and yet the average game runs over three hours due to the start and stop nature of the action. Add in commercial breaks and the sometimes meandering nature of an NFL broadcast, and its easy to see how a sixty minute game becomes one hundred and eighty plus. The obvious game both teams are playing is made up of unbelievable displays of athletic prowess and yet there is a second more subtle game being played by a much smaller number of participants. According to FootballDB.com, the Bills and the Buccaneers were the most heavily penalized teams for 2015 with 143 penalties each. 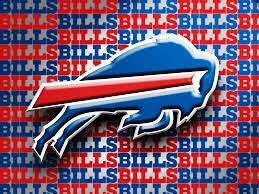 The lowest ranked team was the Vikings at a mere 88. 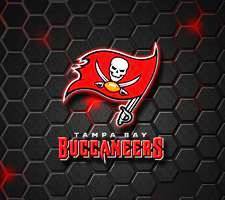 All other things being equal, do you think the Vikings may receive preferential treatment from the officials versus the Bills or Buccaneers? If you’re known as one of the most heavily penalized teams, wouldn’t you think there would be a certain stigma that comes along with that statistic? To think not is to think foolishly. There is a game behind the game that happens both during the live action and much more so between the whistles stopping the course of play. The same players see the same officials week after week. The smart players take the time to learn about the officials and their families. Do you think a guy who carries a good reputation, doesn’t pick up a lot of flags, and specifically talks to the referees when appropriate about their families and their interest will be treated differently? Now as a worst case scenario, consider a player who is penalized a lot, tends to get into arguments with the officials both on and off the field…as in the “law”, and is generally not a very nice guy. How could this player possibly be treated the same as the “good guy” above? Michael Jordan in his prime was known for the “Jordan Effect”. I learned about this amazing truth from my mentor Andy Andrews. Michael Jordan played the game behind the game maybe better than anyone ever. During a break in the action, Jordan wasn’t just catching his breath on the sidelines. He was taking the time to build on relationships he had established with the referees. 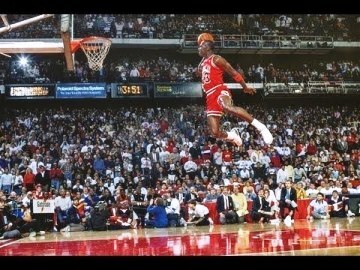 As a result, a given referee didn’t see Jordan as just Jordan never mind his superstar status. He saw Jordan as the superstar player asking, for example, about his son just getting his start in basketball and offering an encouraging word given Jordan’s rough personal beginning. This effort on Jordan’s part to connect with the referee’s definitely paid dividends. Sports telecast used to make a fuss over the fact that Jordan clearly got away with traveling and other violations and yet the fouls never came. Or at least not with the frequency as other players who had no concept of the “second game”. Clearly the Jordan Effect was real. Another story from Andy has to do with a restaurant which employed a simple yet powerful little strategy for taking better care of their customers. From the manager to the chefs, to the servers & bartenders, they all collectively took on the challenge of learning their regular customer’s names. Then when one of their regulars walked in the door, it was a team effort to welcome them by name. a short period of time simply by learning its customer’s names and making them feel more like family than just a customer. 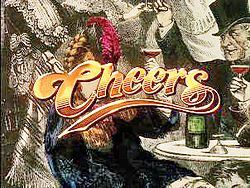 Do you remember “Norm” from Cheers? What was different about the bar the show was based on verses any other bar in Boston? For Norm, it was the place where every time he walked in the door, he was greeted with…”NORM”! It was also a place where he could forget about a job he pretty much hated and unfortunately a home life that left much to be desired. Whether you know it or not, you’re all in sales and have the opportunity to play this game behind the game. You may not carry the title of salesman or saleswomen however you all sell your way through life every day. You either sell your wife or kids or friends or coworkers or your clients on your way of thinking or they sell you on theirs. The 5 Love Languages by Gary Chapman is great place to start. If you’re a Dad, you better know what’s important to your kids. Not what’s important to you about your kids but what is truly important to them. If their likes are different from yours, you better figure out a way to learn to like their interest. Otherwise you will never have the kind of quality relationship that could be possible. If you’re in sales, you better know what’s important to your clients. And I don’t mean the features and benefits of your products or services. It’s not that they’re not important in general. The key is whether they’re important to your client. In closing I want to share two concepts that have shaped my life. 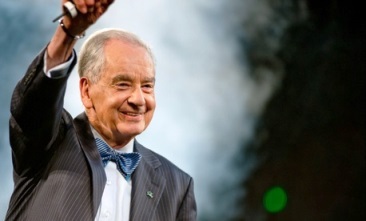 Zig Ziglar showed great wisdom with his philosophy of “You can have everything in life you want, if you will just help other people get what they want.” For me personally this is a call to serve with my God-given gifts & strengths. 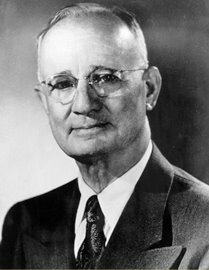 Napoleon Hill was famous for his teaching on The Habit of Going the Extra Mile. Hill’s definition was to render more and better service than expected. His formula for this was “QQMA.” This means the quality of your service and the quantity of service and your mental attitude insures that you attract more and more success. I’ve combined these concepts into four questions I ask myself after every client interaction however these questions can be applied to every person to person interaction in your life. What did I do right? Most people tend to focus on where they messed up. Focus on the positives and avoid the habit of dwelling on your mistakes. What could I have done better? Here is the positive way of seeking improvement rather than beating yourself up over your shortcomings. What did I learn? We only learn from asking good questions and then listening. What can I now do extra that goes above and beyond what the individual could possibly expect? Here is where you really have the opportunity to set yourself apart. The key to making these questions work is taking the time to reflect over each experience and challenge yourself with each. This practice can lead to continuous improvements in all your relationships both business and personal. This entry was posted in Jim Rohn, John Maxwell, Napoleon Hill, personal development, spiritual gifts, Uncategorized, Zig Ziglar and tagged Jim Rohn, John Maxwell, napoleon hill, personal development, success, Zig Ziglar. Bookmark the permalink.